Lakshmi's Garden is located just 3 minutes off of the Mass. Turnpike; 50 minutes from the Albany Airport; 1.5 hours from the Hartford Airport! From the Great Barrington (South): from Rt 7, take Rt 41 north at the State Street Bridge, towards West Stockbridge. Drive approx. 7 miles to Pixley Hill Road; We are the fifth house on the left - #21. 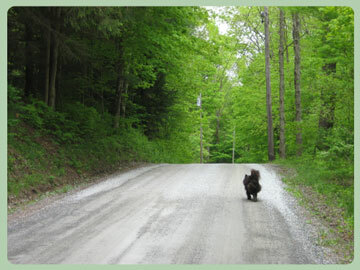 Note : at mile 5 on Rt 41 you will see the first entry to Pixley Hill Road, this is a longer route to Lakshmi's Garden. Click here to view a larger map and to get driving directions!